Piyush Chawla ( pronunciation ; born 24 December 1988) is an Indian cricketer who has played for the Indian national cricket team. He has also played for the India U-19 team and the Central Zone. He is seen as a leg-spinning all-rounder in domestic cricket, but plays as a specialist bowler in international cricket. He first played for India U-19 against the England U-19 team in 2004–05, claiming 13 wickets from two Under-19 Tests at a bowling average of just above 12. He also played in the 2005–06 home series against Australia U-19, where they won the five-match limited overs series 4–1, taking eight wickets. 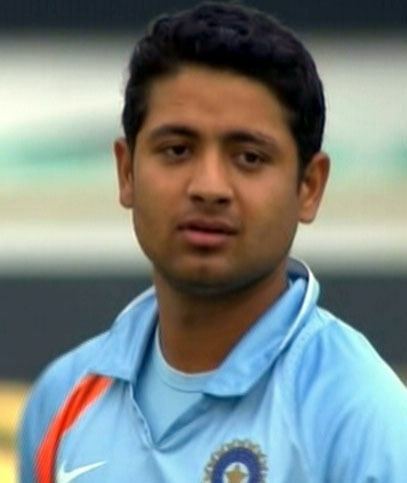 In the 2005–06 Challenger Trophy, piyush Chawla was selected to play for India B. 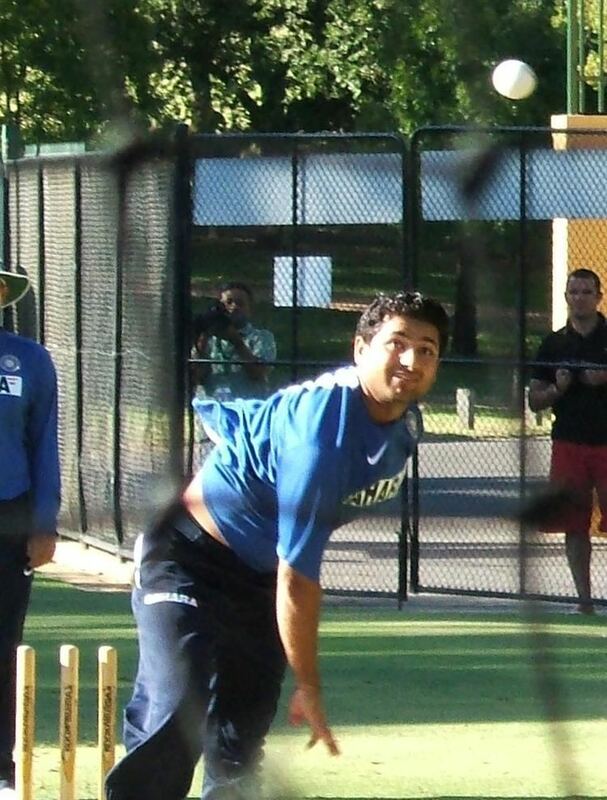 Although he only bowled three of a possible ten overs in the first match of the series, conceding 21, he picked up two wickets in the next match against India A, and as India B reached the final against the Seniors, he took the wicket of Sachin Tendulkar – bowled with a googly – in an effort described by Cricinfo as "impressive". He also dismissed Yuvraj Singh and Mahendra Singh Dhoni, to end with three for 49, but the Seniors still won by three wickets. Two weeks later, he made his first class debut for Central Zone against South Zone in the Duleep Trophy, and scored 60 in a 92-run eighth-wicket stand with Harvinder Singh. He also finished with match bowling figures of 27.2–3–100–6, admittedly only getting one of the top five batsman once. He has been known by Kiran More since the age of 15 and at only 17 has potentially got a great cricketing future in front of him. He proved himself again when he took 4 wickets in 8 overs conceding only 8 runs in the U-19 World Cup final of 2006. He also made 25 (n.o.) runs. This resulted in his selection in the Indian Test squad for the first Test against England in Nagpur, in March 2006, and was selected for his debut in the second Test against England in Mohali, making him the second youngest Test debutant for India after Sachin Tendulkar. It was in this Test that he claimed his sole wicket of Andrew Flintoff (0/45 from 9 overs, and 1/8 from 5.1 overs). He played his first ODI with India on 12 May 2007, against Bangladesh. His debut was highly successful, with him taking 3 wickets. In the second ODI with Ireland, he was equally impressive with three wickets. He returned to test after two years in April 2008 against South Africa, where he took 2/66 (wickets of opener Neil McKenzie and AB de Villiers), but bowled only four wicketless overs in the second innings. In 2009, piyush Chawla signed for Sussex County Cricket Club for a month, as cover for Yasir Arafat who was with Pakistan. In his first County Championship match against Worcestershire, he took a total of 8 wickets in the match, and came in at number 9 in the first innings, and scored 102* from only 86 balls. 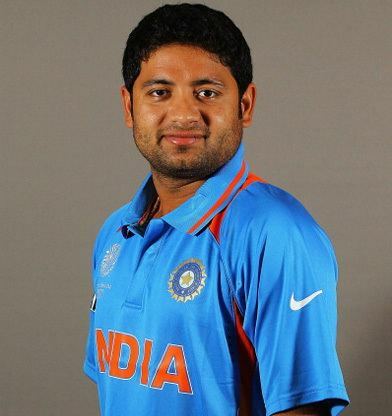 Piyush Chawla was selected for 2010 ICC World Twenty20 in West Indies. He was also surprisingly selected for ICC World Cup 2011 and played a match against England. He returned to play his third Test, after 4 years, against England at Nagpur in December 2012, where the hosts had fielded four spinners Ravichandran Ashwin, Pragyan Ojha, debutant Ravindra Jadeja and Chawla. Chawla took 4/69 in the 1st innings.Piyush Chawla returned to English county cricket in August 2013 when he joined Somerset as their overseas player for the last five weeks of the season. Piyush Chawla played in the IPL for the Kings XI Punjab team from 2008 to 2013. He has had a successful time at Punjab. After IPL 4 he had taken 57 in 55 matches and only 5 players had better record at the time. He was sold for USD 900000 to KXIP in 4th Edition of IPL. On 12 February 2014, Chawla was bought by Kolkata Knight Riders for INR 425 lac in IPL 7 auction.